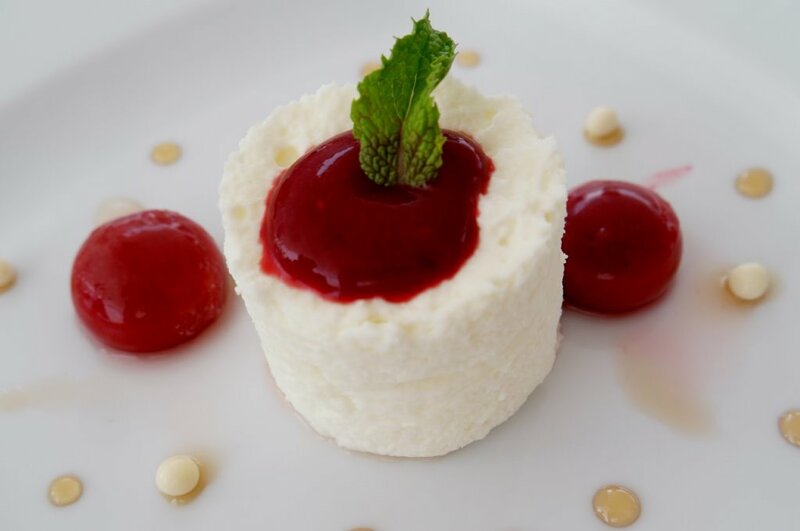 Cristy Dempster, originally from South Africa, has always enjoyed and had a passion for cooking, honing her skills by working with great chefs, and continuous practice, along with a strong interest in extending her culinary creativity through exploration of other cuisines. 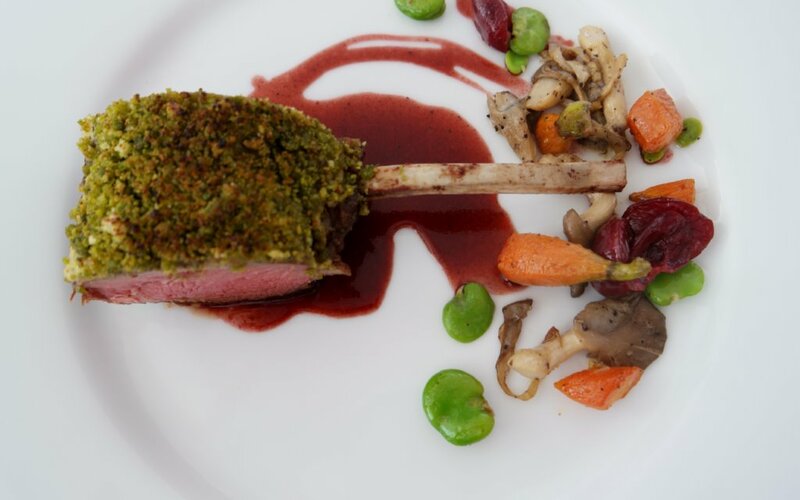 Christy enjoys creating healthy cuisine with unique and flavorful twists, and has brought molecular gastronomy to her on board cuisine for special pops of pure flavor. 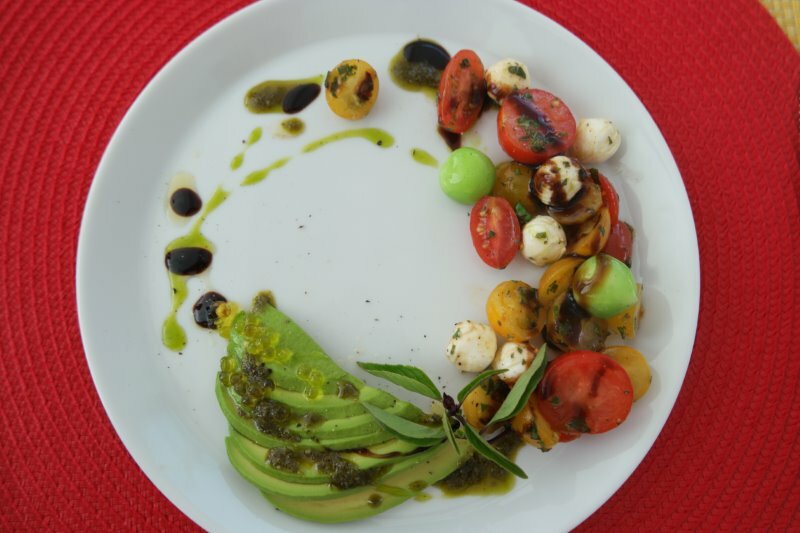 We started lunch with a Balsamic Herb Marinated Tomato, Basil Mozzarella Salad with Olive Oil Caviar. 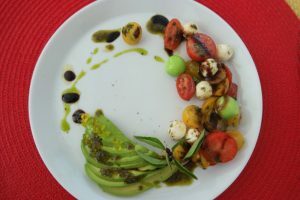 Farm to table vegetables were combined with a lovely Balsamic Vinegar, and little bubble of beautiful Virgin Olive Oil. 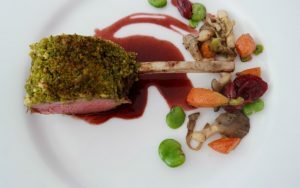 Our main course was a Pistachio and Herb Encrusted Rack of Lamb with Baby Roasted Carrots, Fava Beans, and Wild Mushrooms swimming in a Cherry Madeira Jus. Lunch was topped off with a dessert of White Chocolate Almond Mousse with Raspberries. 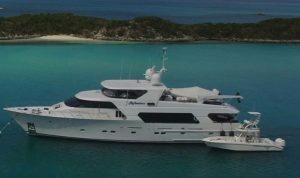 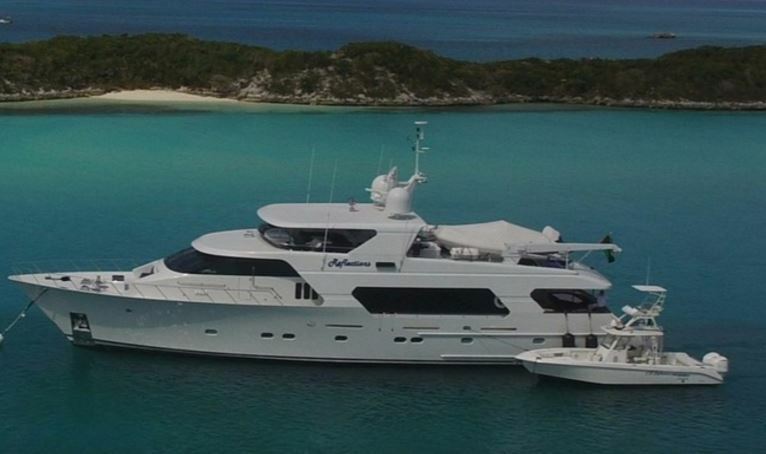 Reflections is a fabulous charter yacht, with a terrific crew, and great onboard cuisine; overall a winning choice for a yacht charter.